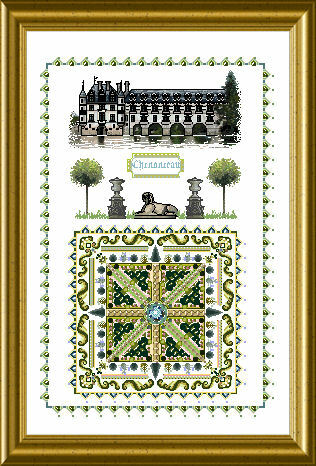 This piece pictures one of the famous castles of the Loire: Chenonceau. of glamour and treason — all you can imagine ! stitch with threads and beads and so recreate this little wonder. 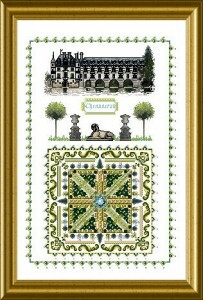 The size of this design is 232 x 358 stitches. Do you plan to create more LOIRE CASTLES? Or this one is going to be single design? Dear Maruska, right now I do not plan to expand this “series” – most probably it will stay a single design. Where can I find the materials pack for this chart?